You should probably know by now that I am a fan of the no-makeup makeup look. But when I do put on a little more makeup when I have a special occasion or a party or something like that, my preferred look is a smokey eye. 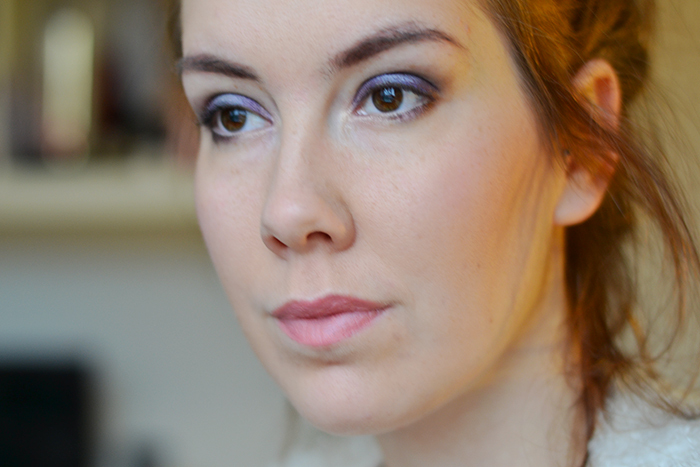 The usual would be a taupe or a brown smokey eye, but when I feel like jazzing it up a little I go for purple. 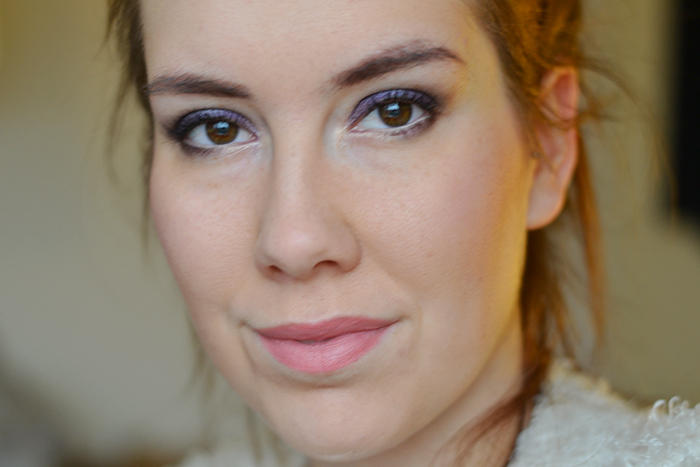 Purple is a shade that goes well with my dark brown eyes, it even makes them pop a little more. Luckily I have some Zoeva and Sleek palettes from my cheap makeup hoarding days. I'm more of quality over quantity girl now, and while Sleek does some great makeup, Zoeva does a better job in the brush department. But even when the shadows you are using shadows that lack in the pigmentation department using a good base makes all the difference. 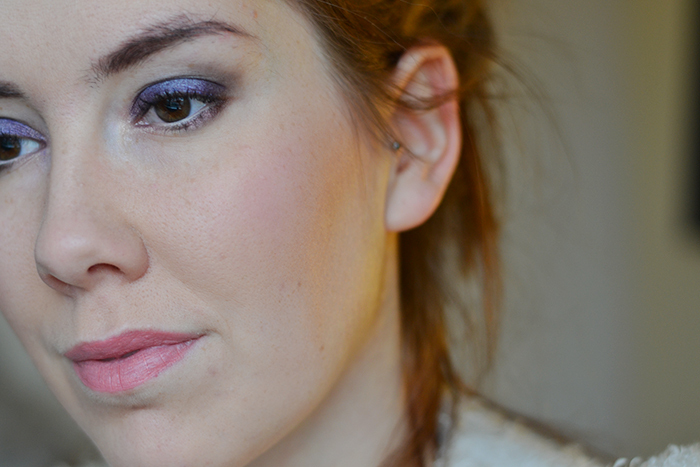 I use a great bold metallic purple eye pencil to completely cover the moving eyelid. Then I pat on my base shadow and add a darker purple in the crease, the one I used is from MAC and it's called Shadowy Lady. I like adding a matte shade in the crease because I don't like looking like a giant glitter ball, to be honest. You could call it a day at that, but with my eye shape I love to add a little something below the eye as well, two thirds with a dark shadow and the inner third with a highlighting shade, keeping the eye open and awake. Just a pump of the lashes with a curler, a swipe of mascara and that's basically it. Doing a smokey eye really isn't that hard. It's finding the right tools and shape that work best for you. Everyone can do it! What's your favorite shade to use in a smokey eye?